Need termite treatment in Tyler TX? Termite’s invasion leads to rapid property damage resulting in massive financial losses. These organisms largely feed on wood, but might also damage books, papers, insulations, as well as swimming pool filtration and liners systems. Termite’s infestation is a critical factor when selling or buying a home as a termite infestation or inspection report is usually a condition of sale. Typically, terminate infestation might cause damage to property investment besides affecting the monetary value. Being certain that your home is invested with termites is crucial before undertaking any treatment. You may detect termite’s invasion by self or hire professional services. Winged termites emerging via the base of foundation wall or connecting patios or porches. Presence of earthen (mud) tubes extending by foundation wall, sill plates. Support piers, Floor joists among other surfaces. Wood damaged by termites is often hollow along the grain, having tads of dried mud/soil coating the feeding galleries. What are the possible termite treatments? When several termites’ colonies are detected in your home, fumigation or entire structures treatment is recommended. The procedure involves enveloping the home with a tent before a termite gas is pumped in. The gas spreads all over the home, reaching crevices and cracks that might be harboring termites. The procedure is effective, offering immediate and lasting protection against further termite’s invasions. Typically, terminates are mostly concentrated around woody fixtures in your home and treating their bleeding site shall absolutely eliminate them. The treatment is either directly applied or injected into the naked wood. 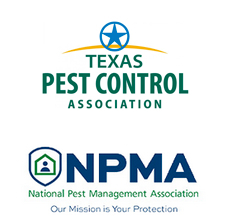 The procedure includes a liquid treatment at entry points & infestation sites about a home, and termites monitoring stations around the home at various locations to detect activity. Upon termite’s detection, the monitoring stations shall be replaced with baits stations. 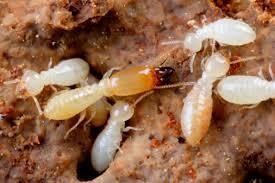 Any termite that ingest the bait share with the nest mates, resulting in effective colony control. Liquid control with non-repellent or repellent. These treatments may be used indoor or outdoor, and can also be injected into the infested area. Repellent formulas doesn’t attract termites but make the area unappealing. In case a termites comes in contact with the repellent, it’s pushed off the home. On the other hand, the non-repellent formulas are less detected by termites, making an encounter with them unavoidable. Termites who confront these products share with rest of colony during grooming and feeding. This shall effectively control colony members, a critical factor towards termites eradication. If you need termite treatment Tyler TX, then give us a call today.